One of the first things I did was to translate the ROM to English. On ROMHacking.net, there was a patch provided that reduced my workload by about 50%. Next, I replaced all of the team flags with each country's national flags. The countries in the game are: United States, Brazil, Argentina, Spain, Colombia, Belgium, France, England, Mexico, Germany, Italy, and Portugal. After replacing the flags, I replaced the original team logos with the logo or crest for each country's football association. After changing the logos, I modified the rosters and ratings for each player to accurately reflect the 2014 World Cup. The kit colors came next. I had to go with a team's 2nd or 3rd colors in order to make it as accurate as possible. Finally, to pander the the Tecmo crowd, I updated the appearance to have more of a Tecmo-feel to it. The fonts were replaced with those from Tecmo Super Bowl, along with a few color schemes (white on black, white on blue). In regards to the game, there are two modes: Exhibition (1 or 2 players) and League. League emulates a larger-scale pool play in the sense that every team will play every other team once before a Champion is crowned. Wow!! Amazing job there!! Almost Perfect...But I have to say it : WHERE IS MY CHICHARITO??? Unsure of what a "Chicharito" was, I used my Google machine to inform me that this is a Mexican player by the name of Javier Hernandez. Upon looking at Mexico's World Cup roster, I saw that he was featured as #14 on the depth chart, a position that would get him into this game. Looking at the ROM, I see that he is mysteriously missing. Turns out, he was sitting in the #12 spot on the roster, and something that I found out near the end of the ROM edit, is that the #12 spot is reserved for the #2 GK. So, he was replaced by Alfredo Talavera. However, since I trust that you are more versed in the Mexican National Football team than I, Chicharito makes his triumphant return to the team in place of Isaac Brizuela. I've uploaded the updated ROM. Unsure of what a "Chicharito" was, I used my Google machine to inform me that this is a Mexican player by the name of Javier Hernandez. Excellent !!. Thank you! . And again : AMAZING WORK!! Tecmo Super Bowl is the greatest sports video game of all time. Now, 23 years after TSB made 8-Bit legends of Bo Jackson and Lawrence Taylor, TecmoBowl.org proudly announces the release of Tecmo Super Bowl 2015. This site's 8th yearly iteration updates Tecmo's NES classic with up-to-date rosters, graphics, schedules and play books for all 32 NFL squads. Additionally, the 4-3 defense has been added for teams who run this base defense. Playable on multiple platforms and operating systems via NES emulation software, Tecmo Super Bowl 2015 brings Nintendo's bone-crunching classic to today's computers and handheld devices. Will offenses fear Patrick Peterson like they feared Rod Woodson? Who is the more deadly play-caller: Peyton Manning or Joe Montana? Will Matt Schaub have a Grogan-esque ending to his career? Loaded into an NES Emulator, Tecmo Super Bowl 2015 will make legends for the next 23 years. 4-3 Defenses - Several teams employ 4-3 defenses. The The "RT" (Right Tackle) will show up as the LILB on the rosters. Passing Accuracy hack is different from last year. Pass Control determines if a pass will be completed. Passing Accuracy determines if the ball will be on target. ProBowl rosters are based on the new fantasy "Rice vs Deion" format. At this time you are not able to replace players from either conference. The TecmoBowl.org release is purposely similar to the original in terms of player ratings and limit of hacks included. There are some other great yearly releases that implement many of the hacks and different styles that have evolved over the years. We suggest you try them out. View File This isn't Tecmo, but it is Football. 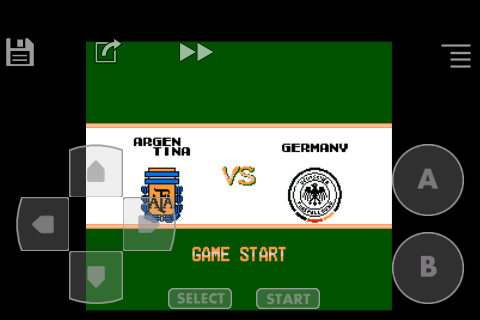 I've modified the Sega Genesis' FIFA International Soccer '93 to reflect the rosters of the 2014 FIFA World Cup that was won by Germany. There are 48 teams total, plus an Adidas All-Star Team. Although the teams are from three years ago, this will serve as a foundation for when I release a future ROM based on the 2018 World Cup. If my memory serves correct, this is the 4th ROM released in a series of ROMs based on the 2014 World Cup, to include Nintendo World Cup (NES), International Superstar Soccer (SNES), and J.League Winning Goal (NES). Please note, I still consider this release to be a work in progress. At the moment, I have been unable to locate the locations of the player ratings. To off-set this, I've arranged the rosters so that 2014's players reflect the 1993 players in both position and skill level. I figure while not necessary, I have until 2018 to figure this out. I was able to adjust the overall team ratings, however. This isn't Tecmo, but it is Football.